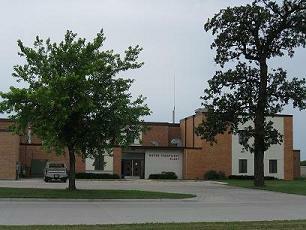 The East Grand Forks Water and Light Department's water source is the Red Lake River. Our staff of Water Plant Operators produce safe, potable drinking water for our residents. Each year the Water and Light Department produces a Water Consumer Confidence Report which provides detailed information about the water quality. Common questions concerning the quality of the water in East Grand Forks can be answered by calling our Water Treatment Plant at (218) 773-1511. For information on lead and copper in drinking water, click here. Keep a pitcher of water in the refrigerator instead of running tap for cold drinks. Wash produce in the sink or a pan that is partially filled with water instead of running water from the tap. If your shower can fill a one-gallon bucket in less than 20 seconds, replace it with a water-efficient shower head. Place food coloring in the toilet tank. If it seeps into the toilet bowl, you have a leak. It's easy to fix, you can save 600 gallons of water each month. Grab a wrench to fix any leaky faucets. It's simple, inexpensive, and can save 140 gallons each week. Insulate hot water pipes to minimize the amount of water you need to run to get hot water to the faucet. When buying new appliances, look for the ENERGY STAR label. New water-saving washing machines save up to 20 gallons per load.